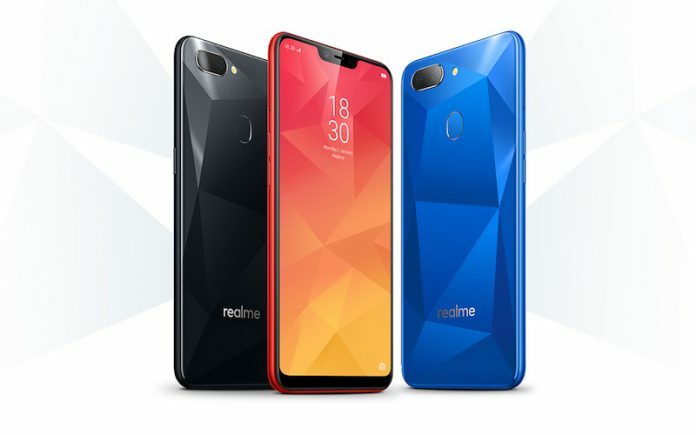 About three months ago, OPPO launched a sub-brand of smartphone of its own and the RealMe 1 was released to the Indian market. Today in India still, that handset has just got its first successor, just after three months and it's officially called the RealMe 2. This could be the shortest launch interval I have ever seen since blogging about smartphones a few years back. The RealMe 2 will be released in two variants, one in 3GB/32GB and another in 4GB/64GB. Unfortunately for some, the this handset is offered with a notched screen together with its massive 6.2-inch IPS LCD display where resolution is pegged at only HD+ or 1520x720. Processor wise, the RealMe 2 is powered by a Snapdragon 450 chipset paired with either of the two storage variants mentioned above with microSD card support up to 256GB right out of the box. Under the camera functionalities, there will be a dual rear camera setup pegged at 13MP + f/2.2 and 2MP + f2.4 apertures while the front facing shooter is at 8MP with f/2.2 aperture. See rest of specs below. For now, the RealMe 2 is an India-only device and will be offered through Flipkart beginning September 4th with asking price of Rs. 8,990 or around Php7,000 when converted. The bigger storage version will set users back for Rs. 10,990, Php8,300 in Philippine peso. The said date will be for the Diamond Black and Diamond Red variants. The Diamond Blue will not be available until early October. Last but not least, it appears that RealMe 2 is not the only one. A Pro version is teased to be launching sometime in September or next month. So stay tuned for that before you decide which one to buy.